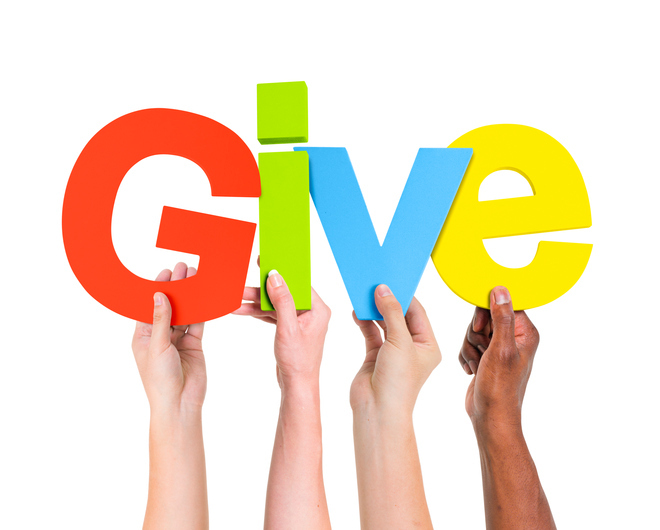 In my conversations with donor families, I have discovered a question that gets less public attention but is a significant source of personal reflection for these families: How do we give? What donors have taught me is that how we give may say at least as much about who we are and what we value as donors as why, what, and how much. Building on the extraordinary wisdom of my teachers and mentors in this work – philanthropic families and advisors – I’d like to share ten principles of how to give. Having watched each of these principles modeled by remarkable givers, I can attest to what they add to the value of the giving and giving relationships and, in fact, what they inspire. Of course, this includes respect for grantees and prospective grantees, but it also includes respect for the communities where you want to work – communities of people and communities of concern. Also, it’s sometimes hard to think of your family members as deserving of respect, but a shared enterprise like giving calls for it. Respectful relationships among family members, fund advisors, and staff can elevate the conversation and add pleasure to the work together. It can be very difficult to be candid in the power-based world that is grant making and grant seeking, but openness about your goals and process can enhance that relationship and ease the difficulty. The late Paul Ylvisaker used to encourage funders to “open the black box of philanthropy” and let others know how you do what you do. Philanthropy is not and, hopefully, will never be an exact science. But it isn’t pure art either. While giving may be driven by the heart, there is a rigor imposed by the stewardship of such a valued resource and public trust. This doesn't mean adopting an all-business-all-the-time model, but it does encourage the discipline of good policy and practice. Now this might seem like a complete contradiction to #3, but I believe having basic discipline gives you the knowledge and freedom to be flexible when that is called for. In recent interviews with donors and family members, I have been impressed by the fact that nearly all respondents cited “responsiveness and flexibility” as a distinguishing characteristic of family philanthropy. Philanthropy is a huge adventure – sometimes into areas we have known and cared about for years and sometimes into spectacularly uncharted waters – but it is always a learning opportunity. The Lumpkin Foundation, an Illinois-based family foundation, has established learning circles to engage outside experts with different generations of the family and to stretch their knowledge and experience in new giving areas. One of the most valued gifts of philanthropy – especially for younger family members – is the opportunity to experience cultures and circumstances beyond (sometimes far beyond) your own. Sensitivity to others and other situations is critical to forming solid partnerships within those communities. Similarly, it helps to be sensitive to the fact that the act of asking can be tough. Sensitivity to this dynamic can ease the way for everyone. Philanthropy is an enormous responsibility and you work hard to make sure you do it well. Be proud of that work and, for many, be proud of your family legacy of giving. Tell the story of that work – including your mistakes. You have the ability to compound the good you are doing by helping others understand what you have learned. Chronicle your family giving history, contribute to a donor conversation, or participate in a survey on your practice and experience. You never know whom you will help. Again, this might seem like a contradiction to #8, but bear with me. The act of sharing your experiences with others reflects not only your pride in your own experience, but your recognition that you are part of a community of donors. It is humbling to know that you share this experience with so many other generous families. It is even more humbling to know that philanthropy means little without the incredibly talented, hard working, and committed individuals and organizations you support. Recognition of both ensures you keep your perspective and your pride in check. Have fun. There is nothing that says philanthropy must be all sack cloth and ashes. If you enjoy what you’re doing, if you’re learning, renewing, and having a good time, you are likely to do more of it. You’re also likely to inspire someone else to get involved. More than 20 years ago, the late Lucile Packard taught me that joy was her hope for her children and for encouraging a new generation of philanthropy. I have never forgotten her wisdom or her example. In the meantime, I wish you joy in your giving! Virginia M. Esposito, is the founder and president of the National Center for Family Philanthropy (NCFP). For more than 35 years, she has worked to advance private philanthropy through research and education. NCFP is a national nonprofit dedicated exclusively to families who give and those who work with them, providing expertise and support for families seeking to transform their values into effective giving for the communities they serve.